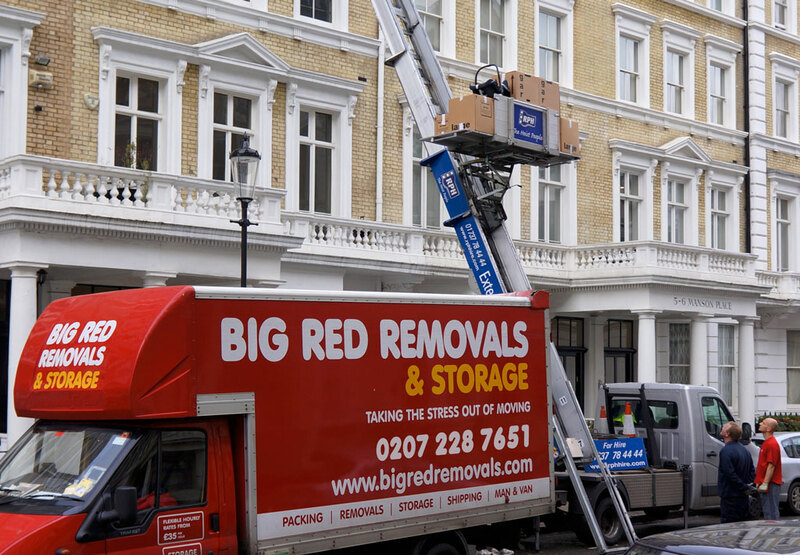 For larger or more complex removals in all areas of London & the home counties, Big Red Removals & Storage offer a free site survey, where one of our estimators will generate a free fixed price quote. We are able to undertake these throughout the day and into early evening. During the site survey our estimator will take an inventory of all the items to be moved and discuss with you all your moving requirements. View, download or print our Rate Card PDF. How does Big Red Removals work out its prices? For most moves we would come to your property and undertake a site survey. From talking to you and taking an inventory, we would work out the Cubic Footage of your move. From this figure and the information you have given us, i.e. distance, packing requirements and access we will work out a price. What happens if I need a last minute booking? If there is not enough time for a site survey, we can email over questionaire for you to fill in. If this is completed accurately it will give us all the information necessary to quote for your move. For smaller moves we can use our flexible hourly rates, where you only pay for the removal time you have used. This is how the removals industry calculates the volume of items to be moved. This includes boxes, furniture and miscellaneous contents loaded into 1 virtual space - this calculation is called Cubic Footage. From this figure we will know what size vehicle to use, and then looking at access, what floors are involved and the distance to be travelled we will calculate how many crew are required and a price will be calculated. In the United Kingdom it is a legal requirement to charge Value Added Tax. When I am ready to book my move, how much notice should I give? As soon as you have a confirmed moving date then please book your removal in with us. You will usually have around 2-4 weeks lead time. There is no point in leaving it a while as we might get booked up. We will always try to accommodate last minute bookings, so please still check with us if you can't pre book. What is included in the quotation? Packaging Materials - We can supply boxes, tape, tissue, wardrobe boxes, bubble wrap, mattress covers and sofa covers. We only use top quality double walled boxes. We are able to deliver these including out of office hours for your convenience. Storage - Using 250 CuFt storage containers we are able to store your items in our climate controlled and Red Care alarmed facility. Man and Van Service - Using our experienced removals staff and equipment we are able to offer a flexible hourly rate removals service for smaller jobs. Pre Move Clear Out - Everyone likes a clear out prior to their move, however time and circumstance make this difficult without a little help. We can send a team to help you clear out your property, take stuff to recycling, charity shops, or simply lend a hand moving items internally. Partial Packing Service - Some clients want us to pack the difficult and breakable items, whilst they pack the rest of the property. This tends to be kitchen, pictures ornaments etc. Full Packing Service - We will come into the property, usually the day before and get everything packed up ready for the removal the next day. Obviously we will leave any items required for the stay over night. Full Unpacking Service - This is usually done the day after the move where by we would unpack all the items onto counter tops and take all the rubbish away with us. Export Packing - Using specialist industry materials we are able to offer a packing service for export or for antiques. Debris collection - We are able to collect all the empty boxes and any rubbish left over from your move. Yes of course! We do offer a wide range of packing materials, we are always happy to lend packing advice. These can be dropped off prior to your move date and payment will be required on delivery. Obviously any items not packed by us are not covered by our liability insurance. We are also able to offer a partial packing service, where we pack the breakables for insurance purposes and you pack everything else in the boxes supplied. Please download our packing tips document here. I need my household items moved abroad can you do this? Yes, either as a bespoke European move, part load with other shipments or if shipping further afield, via our world wide network of agents. Who arranges the parking suspensions? Most householders ask us to arrange for parking suspension on their behalf, as we know vehicle sizes, etc. The cost for this is usually listed as a line item in your quote. If you wish to arrange your own suspension each council has its own process of booking and pricing. You should allow 10 days for your application. You will need to speak to us to see how many bays you require. Also speak to those below and above you in the chain and see what they are doing regarding suspensions. Do you move at weekends? Absolutely we can do moves on Saturdays and at small extra cost on Sundays. What happens if the move is delayed and we cannot gain access to the new property? This very rarely happens, but obviously when it does we can incur extra costs for crew. An additional charge will be made if further labour is required to complete the move outside of the contracted time. This will be detailed on your quote form. Will you empty the loft? Unless the loft has: fitted steps, is boarded out and lit, our insurance does not cover our staff for this activity. Please ensure your loft is empty prior to our arrival or you are available to pass down the items to the crew. Usually we will do this for you and the cost will be part of your quote. If this has not been agreed at the quotation stage, then all items needing dismantling are expected to be dismantled and ready to move prior to our arrival. There may be an additional charge if this has not been done. It is essential that we know what is required at the quotation stage to allow for the necessary resources and equipment to be provided. Do I need to unpack my chest of drawers? Providing the unit is sturdy enough then light items such as clothing, bedding etc. can be left in. Please remove any books, magazines, breakable items etc. Self assembly furniture does not respond well to moving so this type of furniture must only be moved while completely empty. It does also depend on access, if the chest of draws is difficult to get out or from an upper floor it may be best take it out empty. 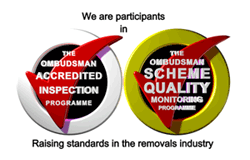 We will be able to advise you on the site survey. It is always best if you have a clear idea of where you want your furniture to be placed. Our staff will endeavour to arrange the rooms to your liking but will not have the time to continually rearrange your room. Usually we will unload the furniture first in your new property so you will have time to have the crew place them. Too much rearranging may result in an additional charge. Do you disconnect/reconnect washing machines and white goods? We can disconnect and reconnect your white goods as long as the necessary plumbing is in place. Though sometimes with London removals the hardness of the water leaves lime scale deposits on the pipe connections, making it very hard to disconnect them. Your move team leader will advise if this is the case. We also recommend that you put washing machines on a drain cycle and empty evaporation traps on tumble driers, fridges etc. We will be able to advise on the site survey to whether we are able to do this. No, you will need to make your own arrangements to move your pets and/or children. Yes we can move plants/potted plants. If they are creepers you will need to detangle them in advance. For indoor plants or plants coming through a property, some trimming may be required if they have grown too large for doorways or corridors. Some plants may need to be removed from pots, if they are too heavy. For any very largeplants we need specialist handling equipment, your team leader will advise. Some of my items don't fit down the stairs? We are used to dealing with this by either removing windows and gently lowering furniture down the outside of the building, or we are able to supply ladder lifts. Any items that don't fit at all we can store for you. We cannot disconnect anything without a plug; in these cases you will need a qualified electrician, such as for light fittings. Our insurance liability does not cover us to disconnect lights or hard wired appliances. Can you disconnect gas cookers? We are able to disconnect gas cookers only if fitted with a bayonet fixing. If not you will need a Corgi registered gas fitter. Can you take away debris and make trips to recycling? Yes, as long as this is agreed in advance. An additional cost will be incurred as we are charged waste fees according to weight. We cannot dispose of fridges or freezers. 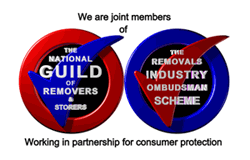 We are also able to collect any removals detritus after your move.